MTS the CDMA Mobile service of SSTL today announced an exciting Value Maximizer offer for its prospective customers across Maharashtra & Goa which provides ½ paisa/second tariff plan for “LIFETIME’ on all local calls without any condition. With this plan MTS subscriber can make local calls to any network of Mumbai, Maharashtra and Goa just at ½ paisa/second . While STD calls will be charged for 1p/sec. This plan is valid for Life Time and available for New Prepaid customers at one time charges of Rs.799 whereas subscriber will get Rs. 200 Talk Time and an MTS CDMA Handset. 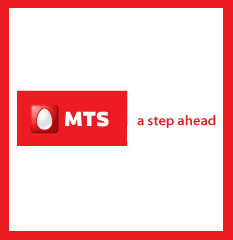 Ashoo Sethi, Chief Operating Officer, Mumbai, Maharashtra & Goa Circle, SSTL stated “MTS having launched its new global brand identity is committed to be ‘A Step Ahead’.